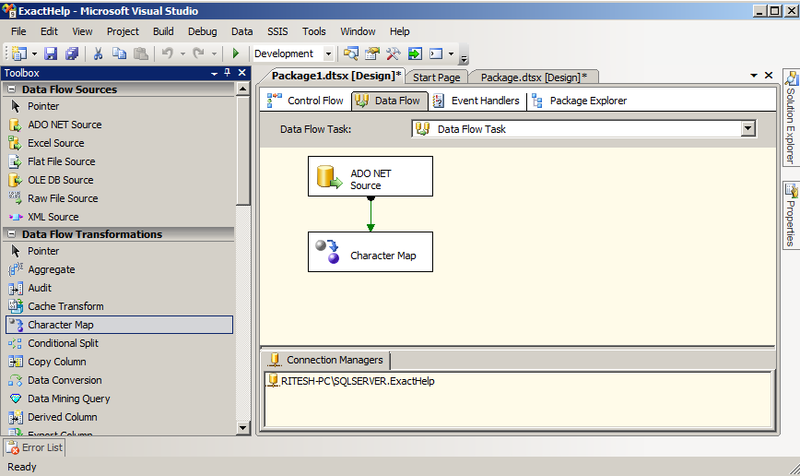 Step 1: Drag and drop any source and a character map transform inside data flow task. 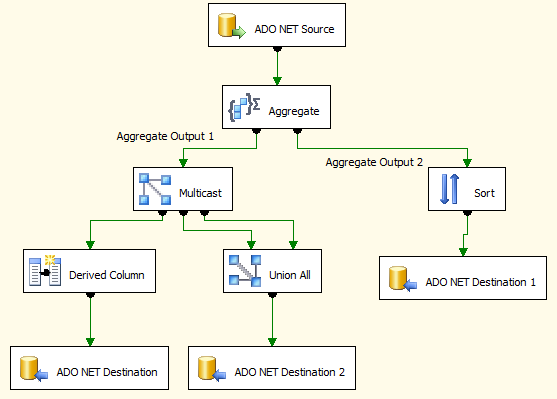 In this example our source adapter is ADO NET Source which pulls data from table tblUser. Then connect the source adapter to character map transform. Step 2: Double click on character map transformation. It will pop up character map transformation editor. Input Column: From drop down choose any string data type columns. We can choose same column multiple times. Destination: it can be either new column or in-place change. 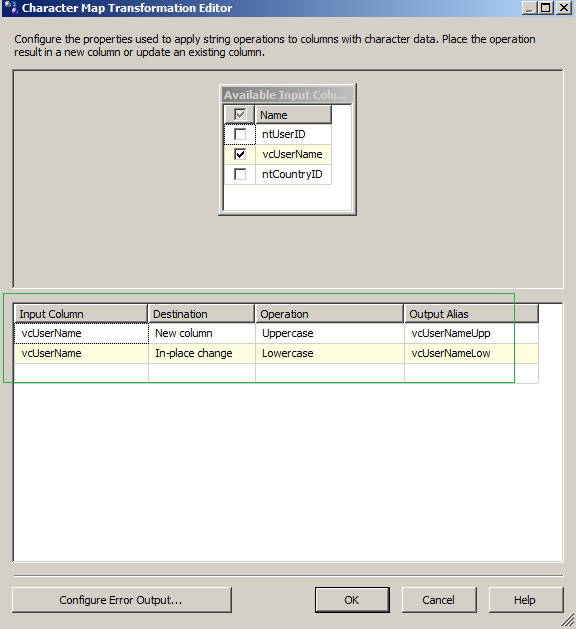 If you want keep original column then choose new column otherwise choose in-place changed. If same column is chosen multiple times then only one column can have in-place change option. Operation: Choose any operation from drop down according to your need. At the same time we can choose multiple operations. Output Alias: We can rename the output columns. New name of all output columns must be unique. Step 3: Now add any destination adapter and execute the package. 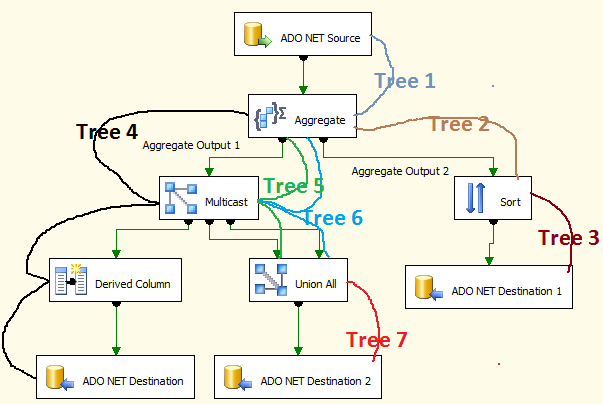 In this example our destination adapter is ADO NET Destination. 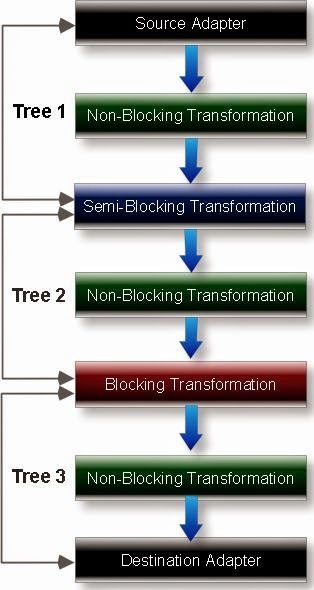 Cache transform is cached dataset for lookup transformation. Let's assume we are loading user information but user data keeps country id and we have to replace country id by country name while country information are present in some different data source. 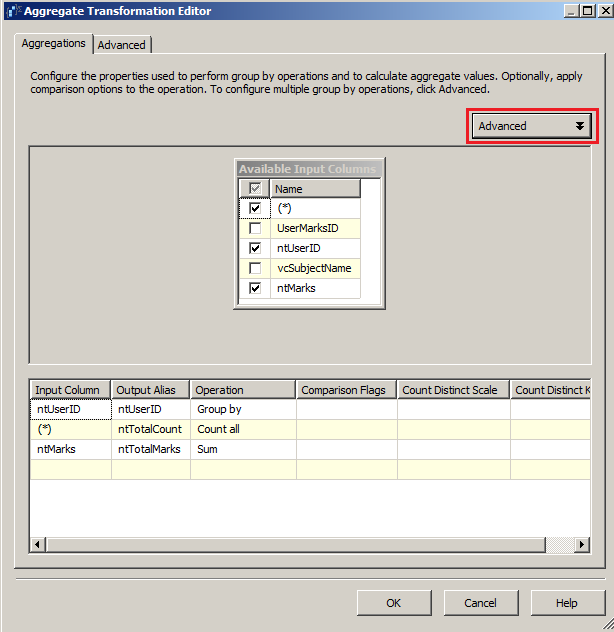 Approach 1: First populate all country data into an intermediate temporary table and while loading user's information perform join operation with temporary country table. 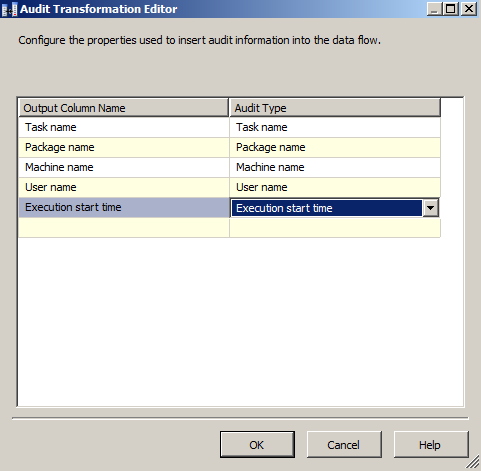 What is audit transformation in SSIS? Step 1: Create any source and destination transformations. Step 2: Add audit transformation between source and destitution. Step 3: Double click on Audit transformation. Step 4: Run the package!! 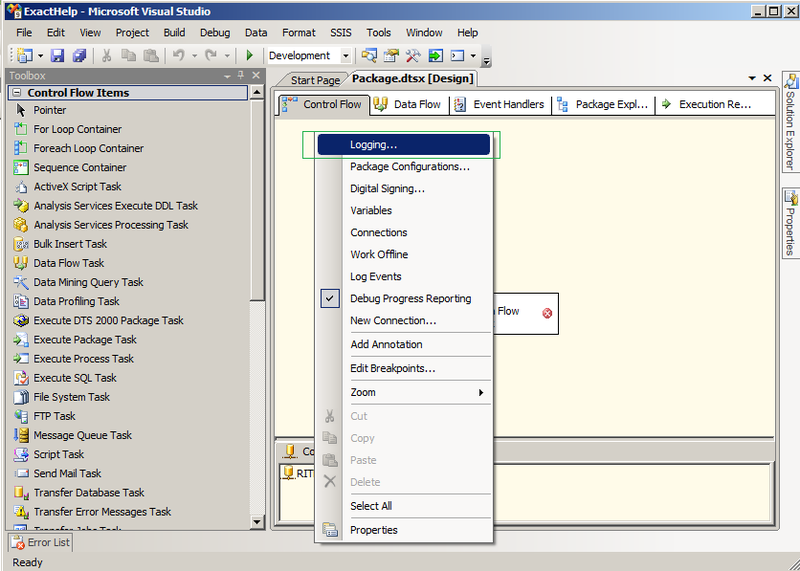 What is execution Tree in SSIS? 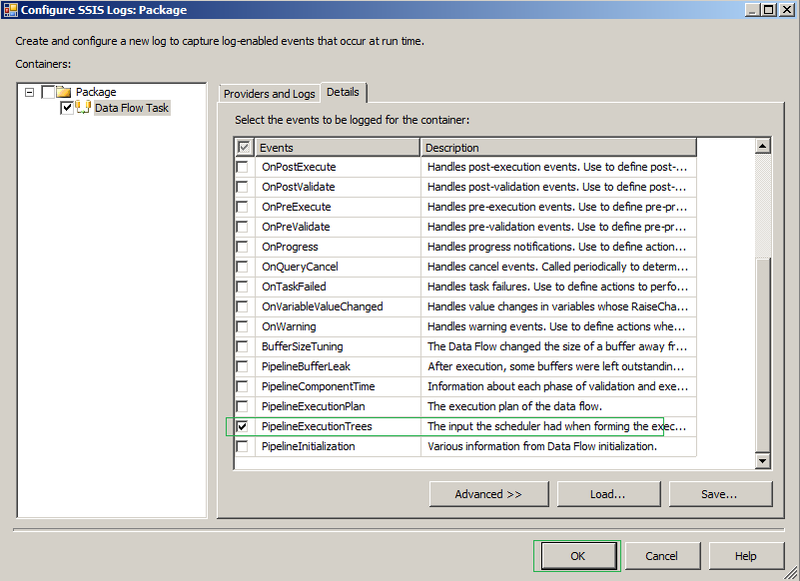 For this we have to configure logging of data flow task for event PipelineExecutionTrees. 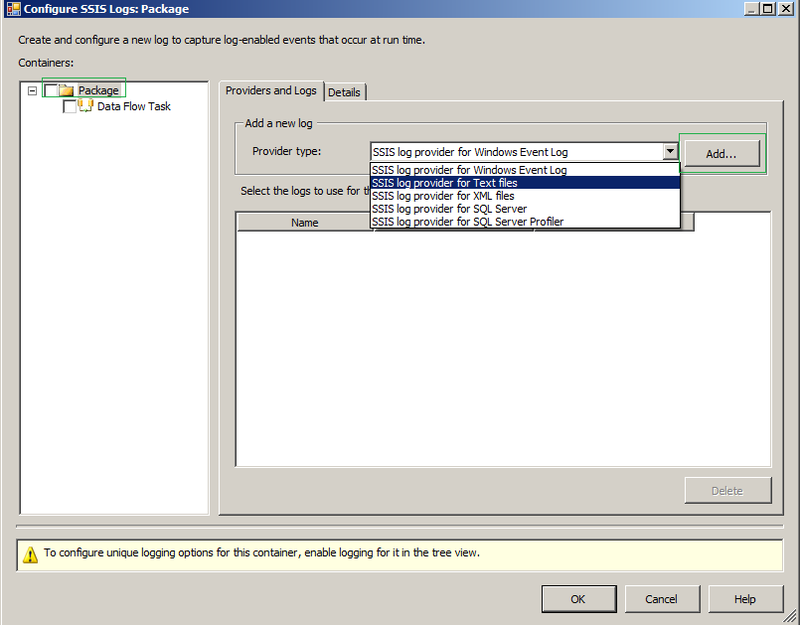 Step 2: In configure SSIS Logs window, Click on package (left most) then add any log provider type. 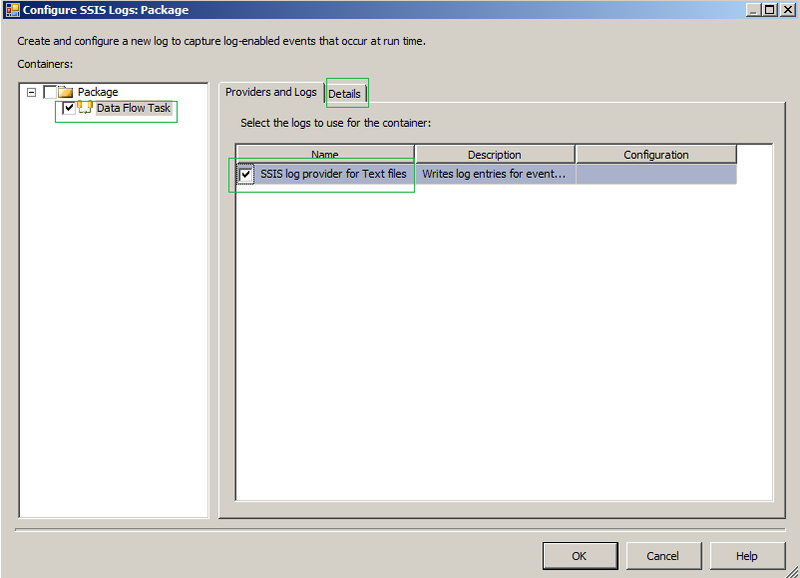 In the example we are choosing SSIS log provider for text file. 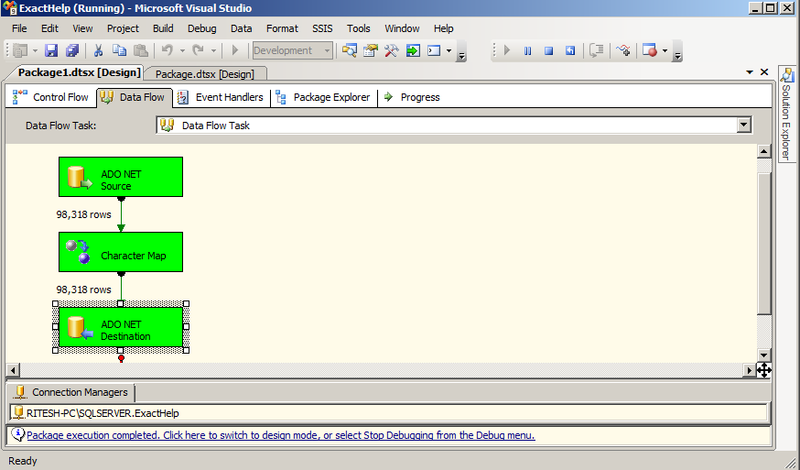 Step 3: Now select only data flow task (left most) then select SSIS log provider for text file. 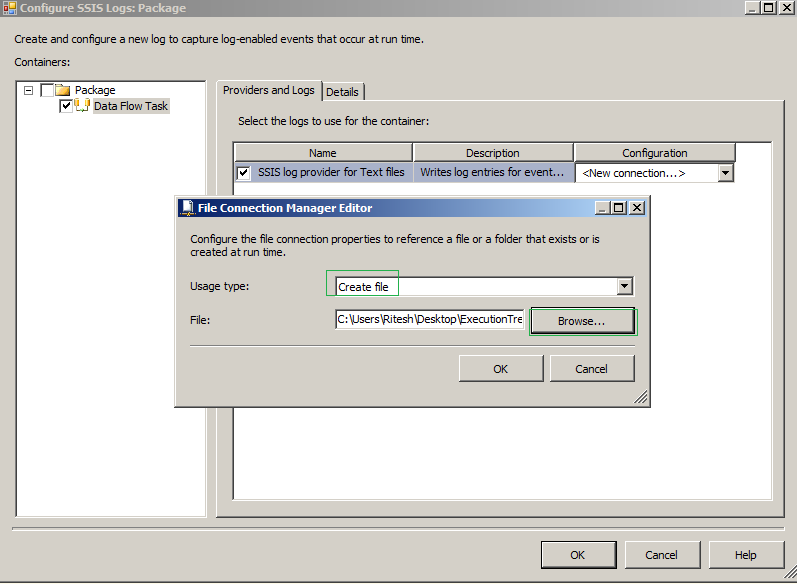 Click on configuration and browse the path where you want to save log. Then click on details tab. 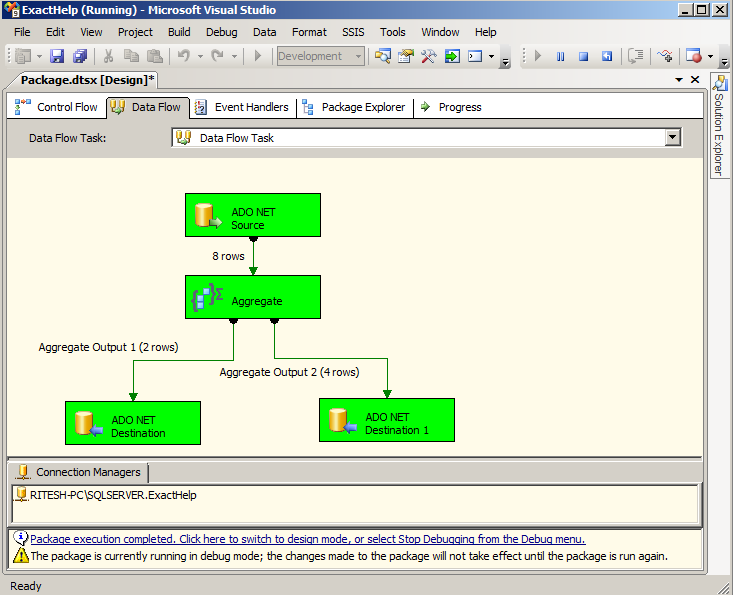 Step 1: Add any source inside data flow task. In this example our data source is SQL Server. Connect source transformation to database and choose your source table. Step 2: Drag and drop Aggregate transformation from toolbox. Step 4: Double click on Aggregate transformation. It will pop up aggregate transformation editor. 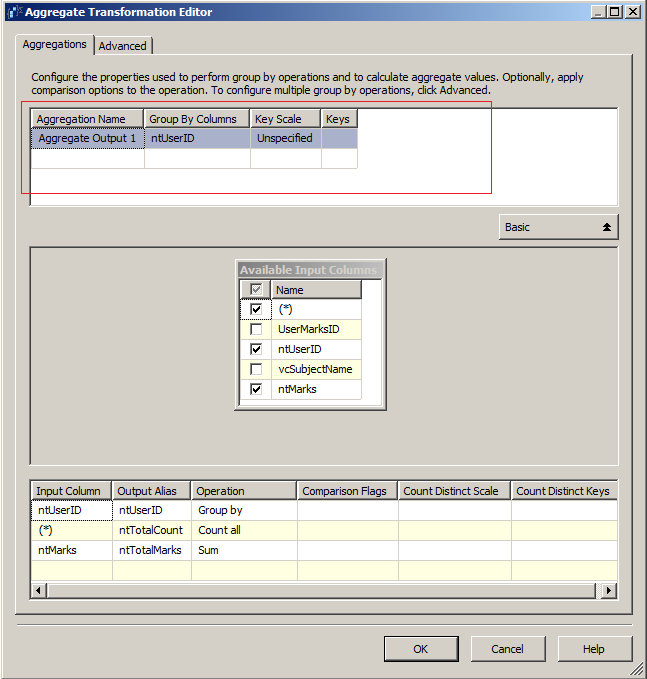 Step 5: Configured the aggregate transformation editor for query 1. 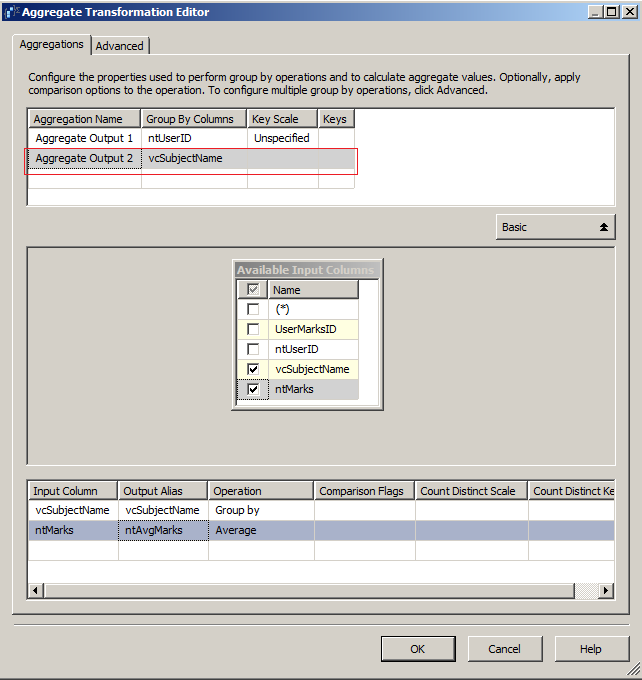 Step 6: To configure the aggregate for query 2 we will have to click on advanced button which is inside the red rectangle in the above diagram. 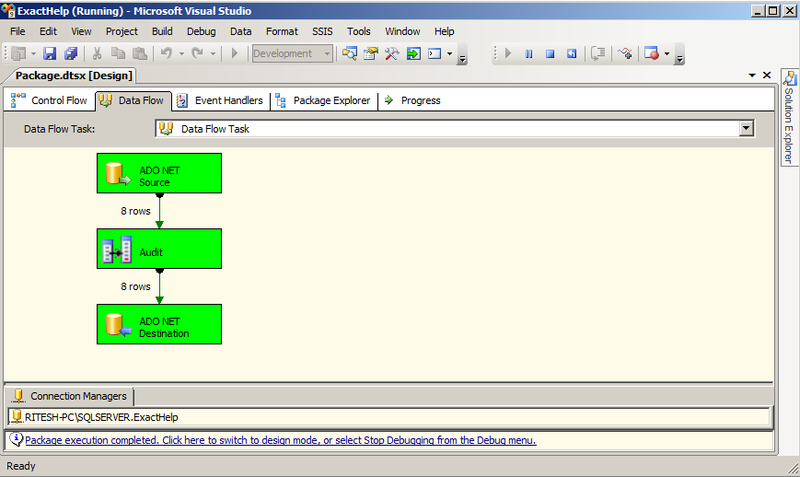 Step 8: Now creating two sql server destinations and executing the package!! Copyright @Priyanka. All Rights Reserved.. Picture Window theme. Powered by Blogger.